One of the first things people notice when they hold a rugged tablet PC for the first time is, “Hey, why is this so heavy?” The answer is pretty straightforward. Rugged tablets are designed and built to survive intensive use by professionals that need to make sure their tablets can withstand anything the job can throw at them or what they can throw at it. 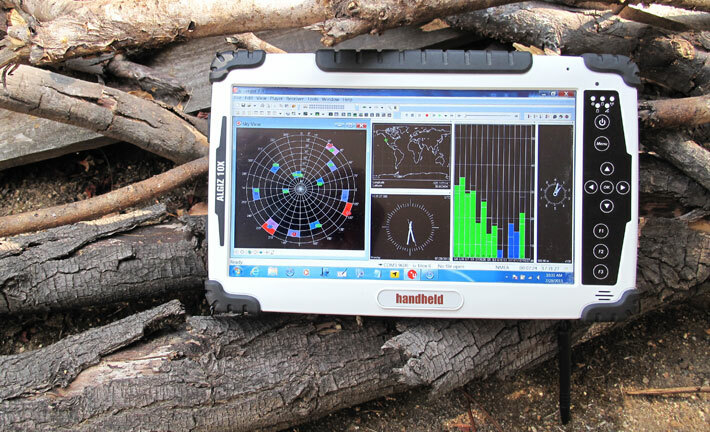 Rugged tablets like MobileDemand’s xTablet T1200 which includes an i5 processor and a 10.4” screen comes loaded with Windows 7 or Windows 8 capability. The differences between a standard consumer tablet PC and a rugged tablet PC starts with the touch screen and LCD display. The consumer tablets use thin glass for the screen to make them lightweight and sleek, which is what regular consumers want. The rugged tablet uses thicker glass layers to maintain strength and hold up better against breakage and impact. The trade-off for this strength and resistance to damage is, the professional tablets weigh noticeably more than a regular tablet. The second major difference between the consumer tablet and the rugged tablet is in the case surrounding the device. The consumer device consists of the top “picture frame” case (which surrounds the glass top surface) and the bottom of the case. Both pieces just snap together and don’t contain any other items to secure them. This design eliminates the need for screws and adds to the sleek pleasing appearance of the tablet. The whole tablet is made to be visually appealing and light, rather than focusing on durability. In comparison, the rugged tablet’s case is made of high impact plastic to stay durable under pressure. The glass is mounted to the top panel with double-sided adhesive foam to cushion it from damage and will keep it from twisting when the tablet is dropped. This will greatly reduce the chance of the glass breaking under pressure. Even Gorilla Glass will break under the force of twisting. The bottom half of the rugged tablet case is made of die-cast magnesium, providing extra thick walls for structural integrity. In the middle of the device is a magnesium mid-plate that adds to the durability by also limiting twisting and ensuring structural integrity. All of this is held together by several screws. Screws are used instead of the snap-together design of a consumer device for a couple of reasons. The first reason is so that the top and bottom of the case are held tightly together to form an overall rigid enclosure. The second reason is to provide evenly distributed compression to seal the tablet’s gaskets and provide overall ruggedness. The xTablet T1200 can withstand a drop from 5 feet. It also has IP65 water and dust seal rating to make it virtually indestructible. ‹ PreviousHyperloop – The Future of Business Travel?